The growth and development of the Iglesia Ni Cristo from its humble beginnings to its present dynamic stature, attest to the fulfillment of these prophecies. The membership of the Church increased at a phenomenal rate from a handful of adherents gathered in its pioneering years to the millions now scattered in many parts of the world. Brother Felix Y. Manalo was born at the time when the seeds of the revolution against the Spanish were being sown in the Philippines. He was born on May 10, 1886, ten years before the outbreak of the Philippine revolution (1886-1898), at Sitio Calzada, Barrio Tipas, Taguig, the firstborn of the couple Mariano Ysagun and Bonifacia Manalo. He was nurtured in the Catholic religion by his devout mother and father. His parent made to attend the “caton class” (a catechism class) in Tipas to ensure that he learned the basic tenets and practices of the Roman Catholic Church. In 1893, when he was seven years old, he was made to attend public school in Sta. Ana, Taguig. However, because of the death of his father and the outbreak of the Philippine Revolution in 1896, his studies was disrupted. In 1899, when his mother remarried, his uncle, Mariano de Borja, a Roman Catholic priest, adopted him. During that time, his uncle was assigned in Sta. Cruz, Manila. He continued his studies in Manila. In the house of his uncle in Sta. Cruz, Manila where he found a copy of the Holy Bible. Then, he immediately began reading the copy of the Holy Scripture that he found. Because he during that time he was living with his uncle, a Catholic priest, and literally living inside the walls od the Roman Catholic Church, and even attending a Catholic school during that time, he can thoroughly compare the teachings and practices of the Roman Catholic Church with the teachings written in the Bible. Consequently, he lost his faith in Catholicism when he discovered that the Catholic teachings, rites and ceremonies are not in the Bible. Thus, he decided leave the Roman Catholic Church, hence leaving also his uncle’s house and his studies in Manila. In December, 1902, he went back to Tipas to help his mother twiced widowed and seven months pregnant during thatv time. There in Tipas, when his relatives and townmates learned that he leave his uncle’s house and stop his studies in Manila, rebuked his decision. And when they learned that he also decided to leave the Catholic religion persecuted him and made lies against him, hoping through these he changed his decision. But, the sixteen years old Felix Manalo stand firm on his decision never to come back to the Catholic religion because their practices and teachings contradict the teachings written in the Bible. Out of curiosity, in April, 1903, he went with the “Colorums” on their lenten pilgrimage to the mountains of San Cristobal and Banahaw. After learning that their teachings also contradict the teachings of the Bible and that the “Voice of the Almighty” was a hoax, after that lenten pilgrimage he went back to Tipas. After a short period of time in Tipas, he went back to Manila. In the summer od 1903, he established a hat store in Paranaque. During this time, he continued his studies of the Bible. Although, there were already many Protestant churches in Manila during that time, but they did not immediately captured the interest of Brother Felix Y. Manalo. Perhaps, his attention was focued on his study of the Bible. Hence, when Brother felix Y. Manalo started his intense examination of different Protestant churches, he was not without any knowledge of the Bible. When he started his examination of different Protestant sects, he was already studying the Bible for five years (he started his study of the Bible in the year 1899). What made him to decide examine the Protestant sects? When he witnessed a religious debate between a Roman Catholic Church and a Protestant pastor in the early months of 1904. Other say that this was the event that made him doubting his Catholic faith. There are wrong. 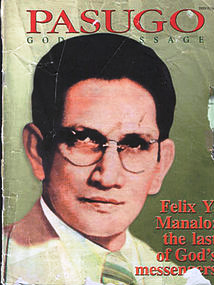 Brother Felix Y. Manalo already left the Roman Catholic Church in 1902. Thus, the religious debate he witnessed only help him decide to embraked a comprehensive examination of the Protestant sects and denominations. In 1904 to 1913, Brother Felix Y. Manalo embarked on an earnest investigation of the Protestant churches and denominations, even joining some of them one after another. But this did not quench his thirst for the truth, for they too did not teach the words of God they should have been taught. So he severed his relationship with them. 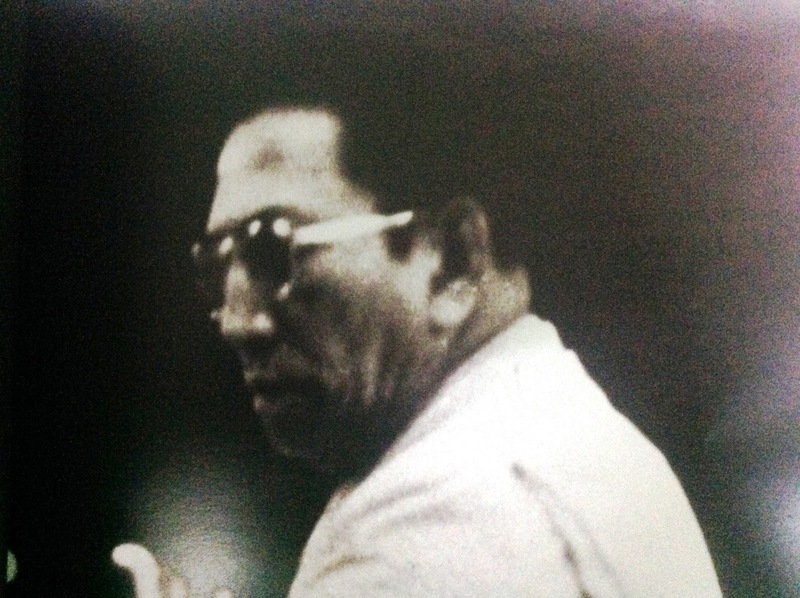 One day in Novemner, 1913, Brother Felix Y. Manalo secluded himself in one of the rooms of his house at Pasay City. For two days and three nights he kept himself in the room depriving himself of sleep and food. Intensively studying the Bible and fervently praying to God. This period of reflection and withdrawal from the world outside led to his enlightenment of knowing the divine mission that God called him, to preach the Church of Christ (Iglesia Ni Cristo in Pilipino) which is the true Church written and taught by the Bible. From then on there was no turning back. He was determined to disseminate the truth that was revealed to him. With his wife, he went to his former friends in Punta, Sta. Ana, Manila and started preaching the Gospel to them. Thus, the preaching of the last work of salvation had began. After establishing two locale congregations (Punta and Tipas), Brother Felix Y. Manalo officially registered the Iglesia Ni Cristo with the Philippine government on July 27, 1914. This is the official date of the establishment of the Church of Christ in the Philippines. From that time on, for almost half a century, Brother Felix Y. Manalo administered the Church so effectively and so efficiently that even his detractors have to grudgingly acknowledgehis dynamic, leadership, his talent in administration. He cared and cherished Christ’s beloved Church until his death on April 12, 1963. Brother Felix Y. Manalo’s preaching was unique. From the first time it was heard, it had immediately drawn the attention drawn of his countrymen not only because of its logic and lucidity but also, and more importantly, because of the undeniable truth that flows profusely from the holy Scripture whence it came. He preaced like the fiery preacher that he was and yet in the engaging conversational style. Socratic or question-and answer method his preaching was, which made it more lively and effective. But more significant than the liveliness and elegance of his preaching style was the impact on the life of the believers. The first few converts that he had, had been profoundly affected by the doctrines he taught. They were changes by its power, set apart from the world, and became new creatures in Christ. Their minds were enlightened by these teachings which are so distinct from the currently accepted dogmas but so identical with the teachings of the Bible. They were struck with the overflowing compassion of these teachings that have opened their minds to the knowledge of the will of God. "Fear not, for I am with you; I will bring your descendants from the east, And gather you from the west; I will say to the north, 'Give them up!' And to the south, 'Do not keep them back!' Bring My sons from afar, And My daughters from the ends of the earth. Brother Felix Y. Manalo, ever faithful to the words of God in the Bible that the Father alone is the true God, he preached that Christ, the Son of God, is human in nature and not God. Of course, Catholic and Protestants alike, believe too that Christ is a man, but Christ to them is both true man and true God. So for most Catholics and Protestants who have always conceived Christ as God, the teaching that He is not God is simply heretical. Brother Manalo, however, stressed that what is heretical is the belief in the deity of Christ for it is not biblical. He recognized Christ as the Head and Savior of the Church, man’s mediator to God, the Son of God, but never as the true God because it is clearly written in the Bible that the Father of Jesus Christ is the only true God. To the members of the Churchof Christ, Brother Felix Y. Manalo preached God’s purpose in creating man. Brother Manalo preached how God intended to create men in His own image and made them holy and righteous (Gen. 1:27; I Pt. 1:16), and how man falls short of the glory of God (Rom. 3:23; 5:12). Of course, even then, there were other peachers who taught the same things. But the difference lies on their understanding of the Bible on how man can attain sanctification and righteousness. Catholics were made to believe that indulgences, sacraments, sacramentals and flagellation could cleanse man and make him holy and righteous before the sight of God. Protestants thought that they can be justified by faith alone. But the biblical teachings that Brother Manalo preached point to the shedding of the blood of Christ as the only means to attain the forgiveness of sin (Heb. 9:22). Christ’s blood was shed to cleanse and redeem only His Church, the Church of Christ (Acts 20:28 Lamsa). It is therefore a necessary condition for justification and salvation that man should join the Church that Christ will save. This is the Church of Christ, or Iglesia Ni Cristo in Filipino. In the sight of God Christ and his Church are “one new man” (Eph. 2:15), because Christ is the head, and the Church is His body (Col. 1:18). Thus, Brother Felix Y. Manalo preached that the Lord Jesus Christ can save man without breaking God’s law written in Deuteronomy 24:16 through the Church of Christ (His body and He Himself is its head). Brother Felix Y. Manalo did not teach that the Iglesia Ni Cristo is just one church among too many. He taught unequivocally that the Iglesia Ni Cristo is the one and only true Church that man should join in these last days. Here then is a teaching that stands in utter opposition to the common notion that Church membership has nothing to do with salvation, justification and sanctification. And the critics and detractors of the Iglesia Ni Cristo would not take this sitting down. Debates were inevitably held between the ministers of the Iglesia Ni Cristo and preachers of other religions dwelling on such controversial topics as the means of salvation and the nature of Christ. The Iglesia Ni Cristo was taught by Brother Felix Y. Manalo to consider the Bible as the sole basis of faith, the sufficient guide in the worship of God. Every doctrinal position of the Iglesia Ni Cristo is biblically supported. Brother Manalo trained the ministers of the Church to defend these positions by reading and quoting the Holy Bible. This explains why the Iglesia Ni Cristo strongly rejects the Catholic traditions because they are unbiblical. The memory of Brother Felix Y. Manalo shall always remain with the Iglesia Ni Cristo. The teachings of God which Brother Manalo preached shall always guide the Church in her journey to the eternal kingdom. His fraternal love and devotion to the Church shall always live in the hearts and minds of the faithful. To most members of the Church of Christ, whatever is said about him is a matter of deep personal concern. For he is more than a brother to them; he is to them God’s last messenger who was instrumental in bringing God’s righteousness near them. And they have biblical basis for such belief. Of course, others like his critics and detractors, rejected his preaching vehemently. They persecuted those who were converted into the Iglesia Ni Cristo to discourage them. But that did not seem to faze the members. Undaunted, they held on to their faith knowing as they did that they gave received the teachings from God’s messenger himself. Brother Felix Y. Manalo is gone now, but the Iglesia Ni Cristo shall always thank Godfor having sent His messengerin these last days. His memory lives and the message of God that he brought to God’s chosen people in these last days shall always occupy a central place in their hearts.